Charles Aznavour (born Shahnour Vaghinag Aznavourian, Armenian: May 22, 1924 – October 1, 2018) was a French-Armenian singer, lyricist, actor, public activist, and diplomat. 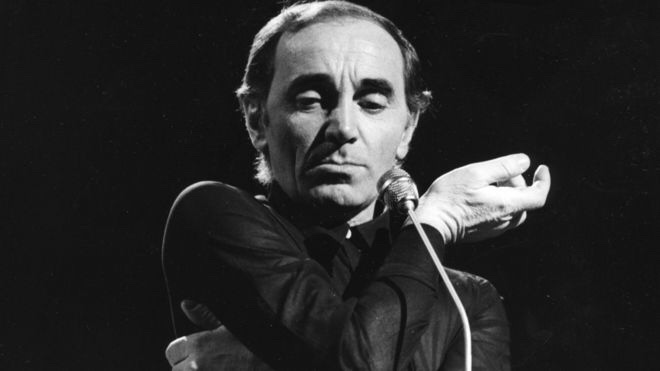 Aznavour was known for his unique tenor voice: clear and ringing in its upper reaches, with gravelly low notes. In a career spanning 70+ years, he recorded more than 1,200 songs interpreted in 8 languages. Celebrate his life by posting a comment or pic to this Collective.